Available in the following sizes: 1.25 oz & 2 oz with natural oval bottle w/dropper tip & cap – Also available as 8 oz bottle with yorker spout cap, 16 oz. and 128 oz. (Gallon) container. 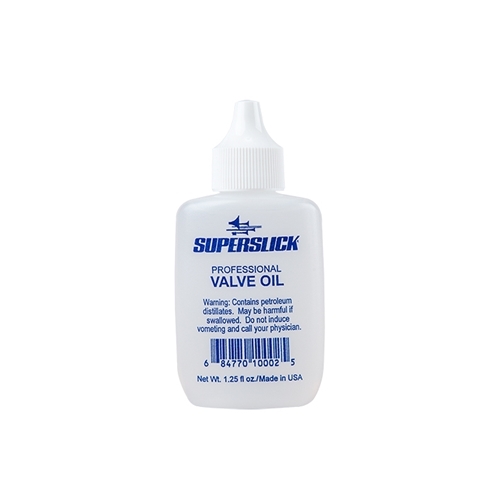 – Valve oil with special additives for long life and fast valve action. Designed for long-lasting performance.